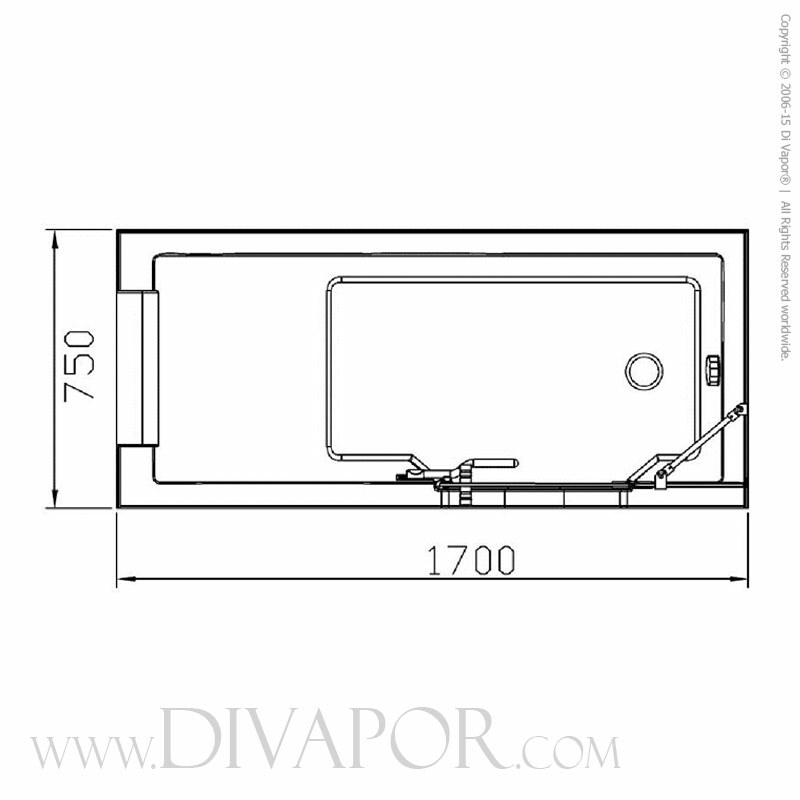 The Ladoga is a full size bathtub that offers a low step access entrance via an inward swinging 8mm glass shower screen. The Ladoga is an ideal bathing solution for most bathrooms, offering a spacious showering space suitable for everyday use. 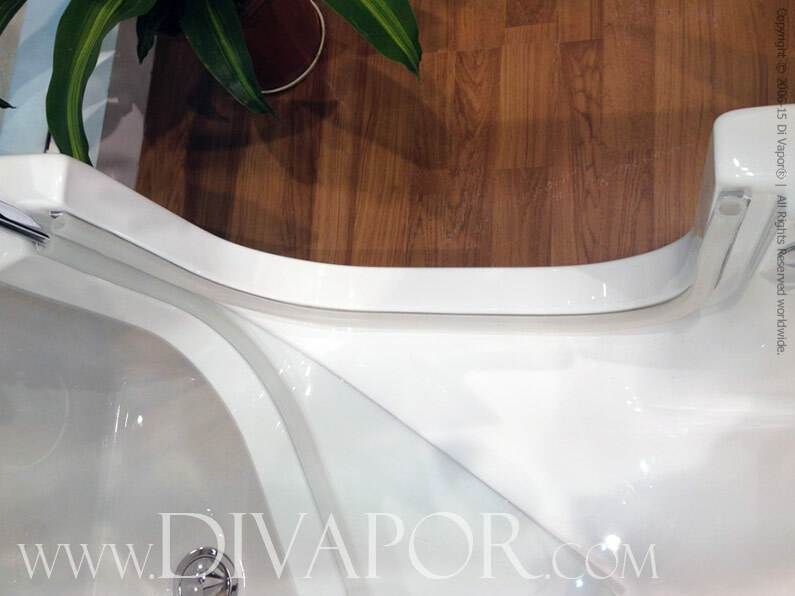 This walk in bath includes a single headrest and fully operational whirlpool bathtub with jets. Easy access is important with any mobility product, making user safety the priority. 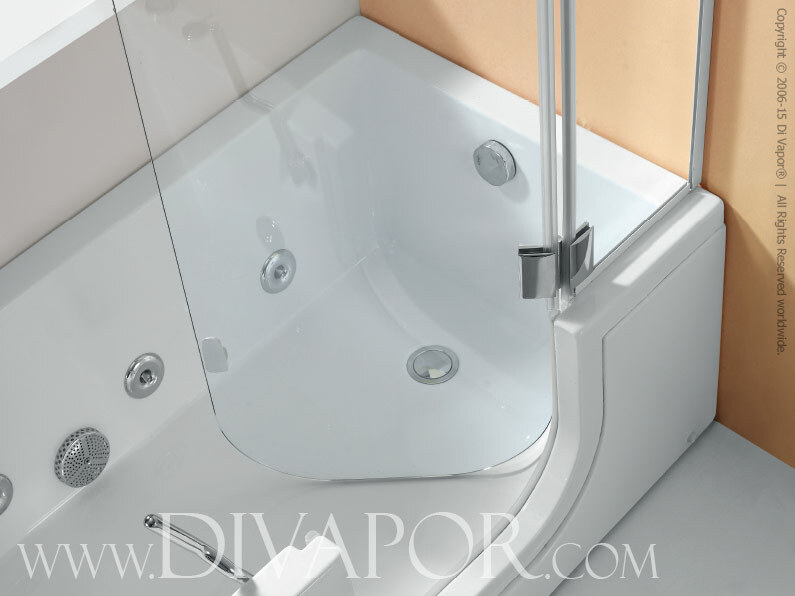 The Ladoga features a unique low step entrance, designed to ensure that users can easily get in and out of the bathtub without risk of injury or additional assistance. 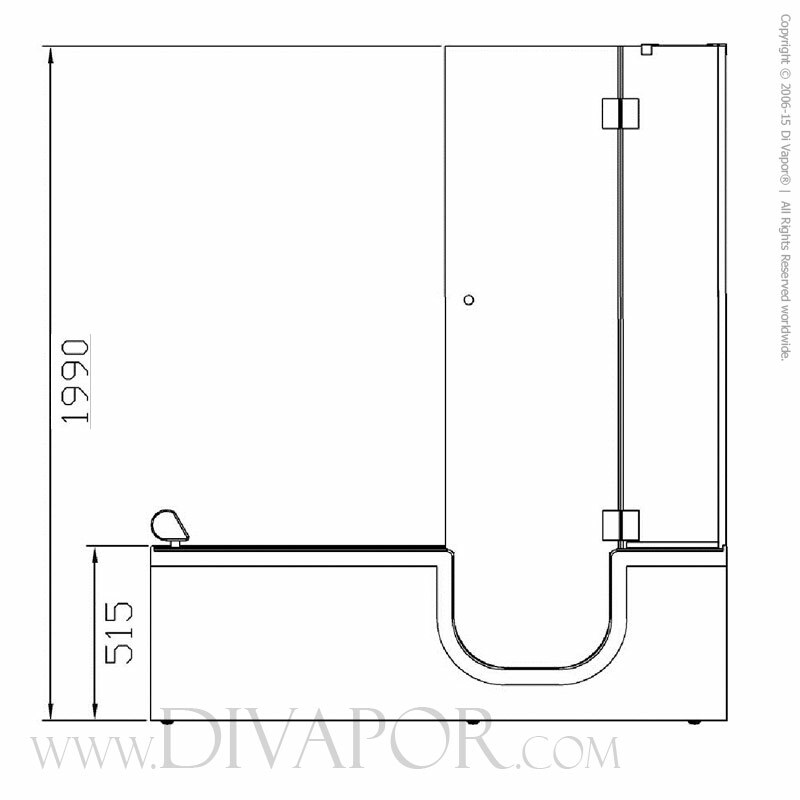 A large glass screen is included with the Ladoga, in addition to a stationary glass panel that fits to the adjacent supporting wall. 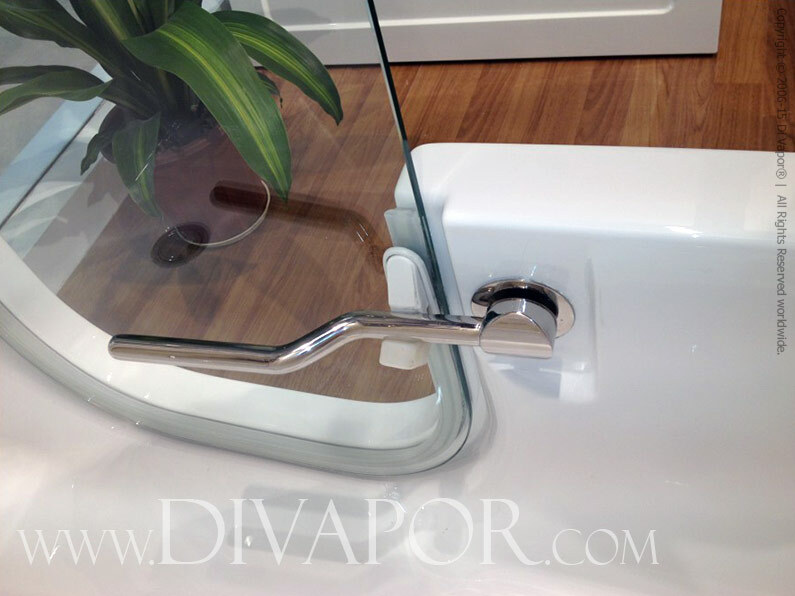 Once users have stepped into the bathtub, the door can be closed and locked in place easily, ready for use. 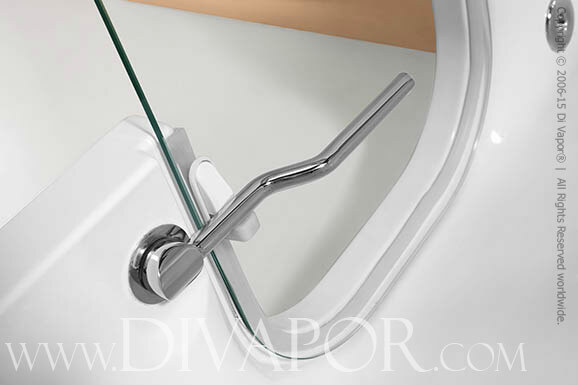 A large lever handle comes as standard with the Ladoga bathtub, designed to make opening and closing the large glass screen door an easy task. 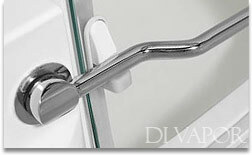 Once locked, the handle creates a watertight seal between the main screen door and bathtub. Pulling the handle towards you will release the lock, allowing you to exit safely. 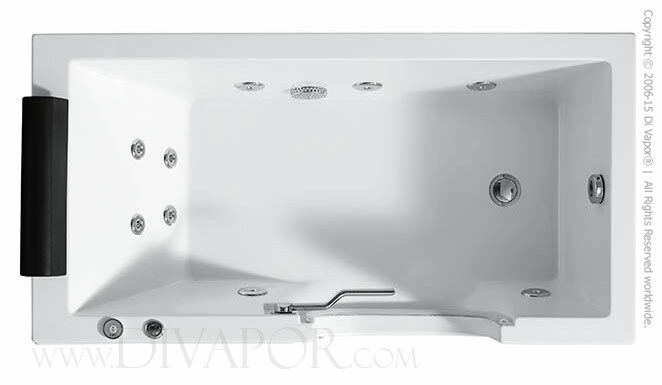 The Lagoda is fitted with a hydro massage jet system, powered by an independent water pump located underneath the bathtub. 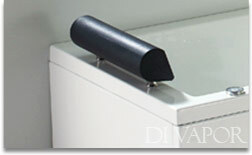 The pump provides jets of water designed to gently massage the user whilst bathing. 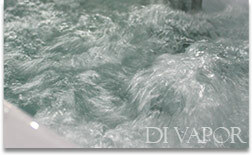 Hydrotherapy provides a multitude of health benefits including promotion of blood circulation. The Ladoga comes complete with a single button digital control panel designed to make operation of the water pump simple and easy. 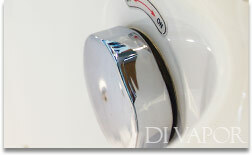 The user can operate the hydromassage jets with a single press of a button – Pressing a second time deactivates the jets. The Ladoga comes complete with a single, easy clean headrest mounted at the end of the bathtub to maximise comfort during use. Enjoy a long warming soak whilst a number of individual hydro massage jets gently massage any aches and pains – pure spa bliss. For optimum ease of operation, the drainage plug is controlled via a side mounted dial that can be turned to open and close the main plug. 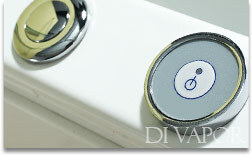 When you’ve finished using the Ladoga, simply turn the dial to quickly drain the bathtub before getting out. The Ladoga is moulded from a single piece of high quality acrylic to provide a perfect and seamless finish designed to last. 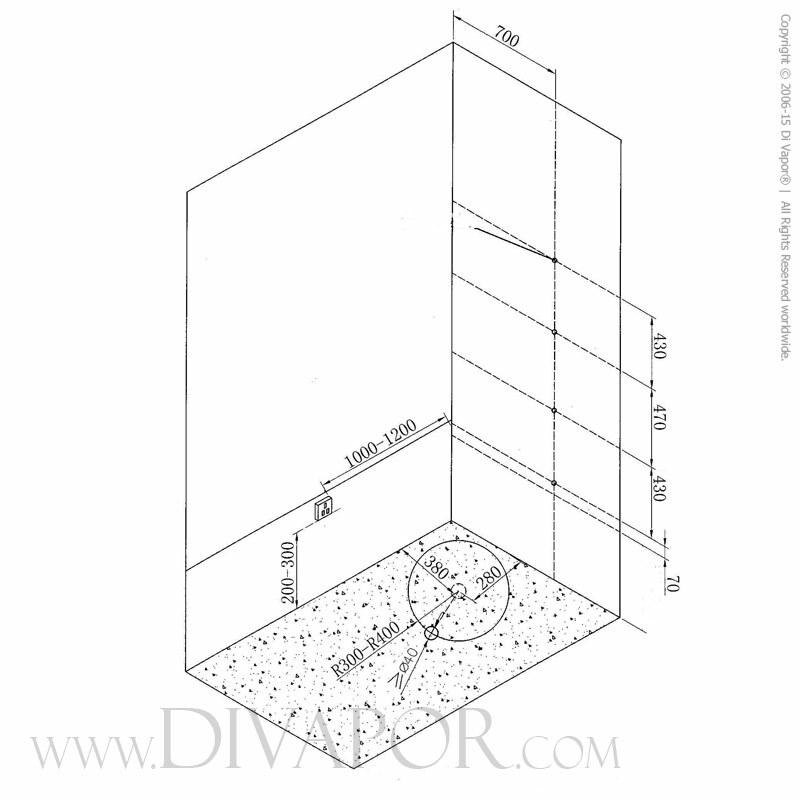 In addition, the entire mould is further reinforced with several layers of fibreglass before being mounted onto a stainless steel box frame for added strength and durability. 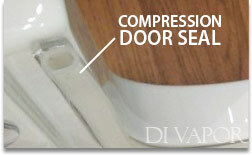 To ensure that no leaks can occur from the specially designed glass access door, Di Vapor has developed a unique compression seal to create a strong watertight seal. 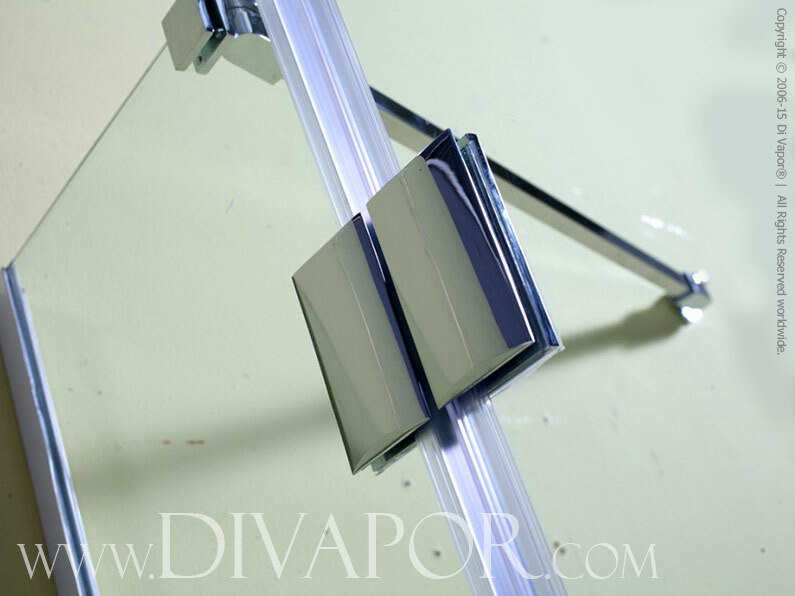 The large lever handle makes it easy to ensure that the glass door is pressed firmly against the heavy duty seal.